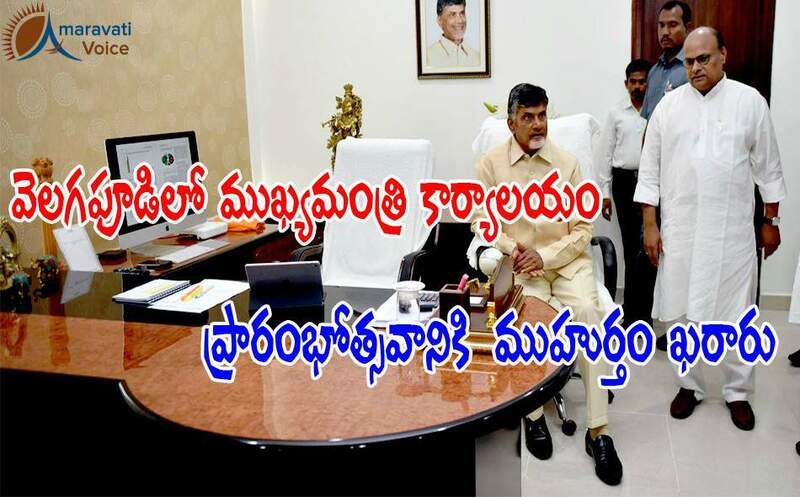 Chief Minister N. Chandrababu Naidu will start functioning from the temporary secretariat at Velagapudi in capital city Amaravati on Dasara festival in October. The temporary secretariat in Amaravati is almost ready to be occupied. Some ministers have already started functioning from there. The state government wants all Secretariat departments to start the work from Amaravati by Dasara, before the Chief Minister occupies his chamber there. Chief secretary S.P. Tucker said all Secretariat departments will be shifted by this month end. The departments have speeded up scanning of files and uploading these in e-file system.